Today’s businesses require secure 24/7 access to their cloud applications and data, and require more than Web Single Sign-On to propel their business forward. The world has changed, allowing an almost infinite number of identities and accounts on different platforms and devices including cloud, mobile, social, and personal networks. Having an identity and access management strategy in place is more important than ever. Previous years, Gartner used to publish IDaaS report, but could not find it anymore after 2016. I listed IDaaS MQ in 2016 and 2015 here since they are similar and worth comparing them. 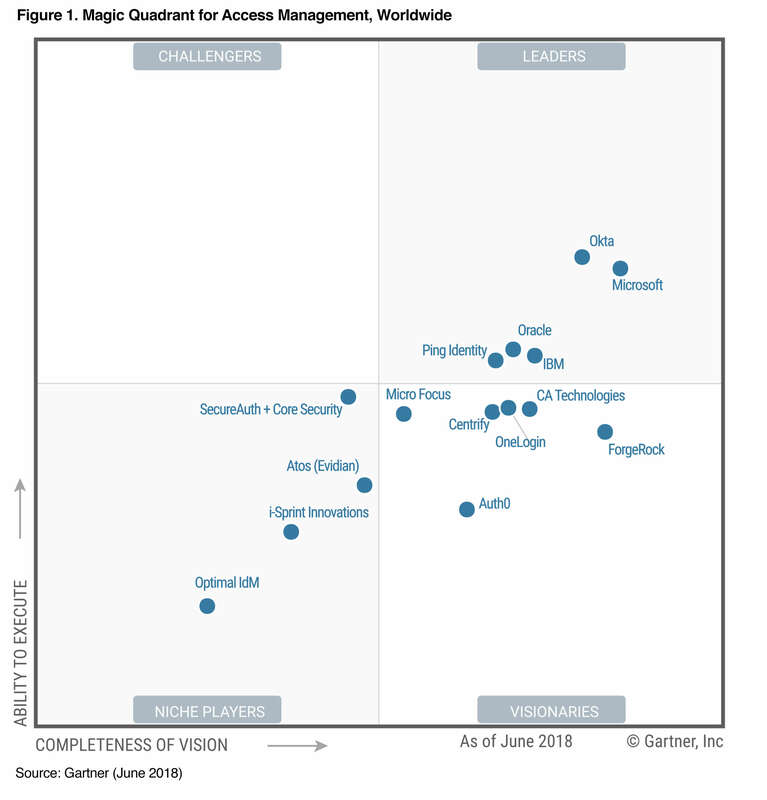 In 2015, the ‘leaders’ quadrant of Gartner’s graph featured just one vendor – OKTA.